Variety of options. Choose from 3 bottom types (F-bottom, U-bottom, and V-bottom), 2 types of wells (96-well and 384-well), and 2 purity types (PCR and Sterile). Purity levels. Available in Protein LoBind and DNA/RNA quality to fit your needs. No slip agents. Manufactured without the use of plasticizers, biocides or slip agents, substances know to leach from plastic consumable into the sample and negatively affect bio-assay results. Made of virgin polypropylene. Polypropolyne provides high resistance to chemicals, mechanical stress, and temperature extremes, keeping you samples safe. Centrifugation stability. Up to 6,000 x g or 5,000 x g for sterile plates. 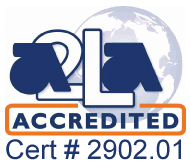 OptiTrack® alphanumeric labeling. Easy-to-read labeling on each plate which makes identifying wells incredible easy. Function between temperatures. Guaranteed functionality between –86 °C to 100 °C. Black and white microplates. 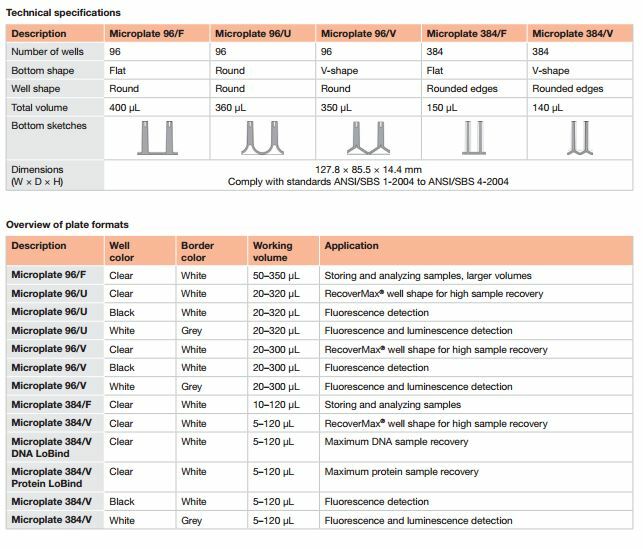 Eppendorf Microplates are available in black and white for fluorescence and luminescence assays. 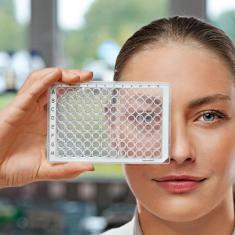 What is Eppendorf Microplate ideal for? The Eppendorf Microplates are perfect for storing substances or for applications requiring high resistance to solvents, such as DMSO. For applications where maximum sample recovery is highly important, the Microplates 384 are available in Protein and DNA LoBind quality. It is also ideal for automation because of its rigid design, dimensional accuracy, and compliance to SBS specifications. - Microcentrifuge Tubes Best Value! - PCR Tubes Best Value! - Conical Tubes Best Value! - Tube Racks and Holders Best Value! - Cell Culture Dishes, Flasks & Plates Best Value! - BrandTech Immunology & Tissue Culture Plates Best Value! - Eppendorf Centrifuges Best Value! - Vortex Mixers Best Value! - Sartorius Balances Best Value! - Eppendorf Thermomixers Best Value! - Weighing Boats Best Value!